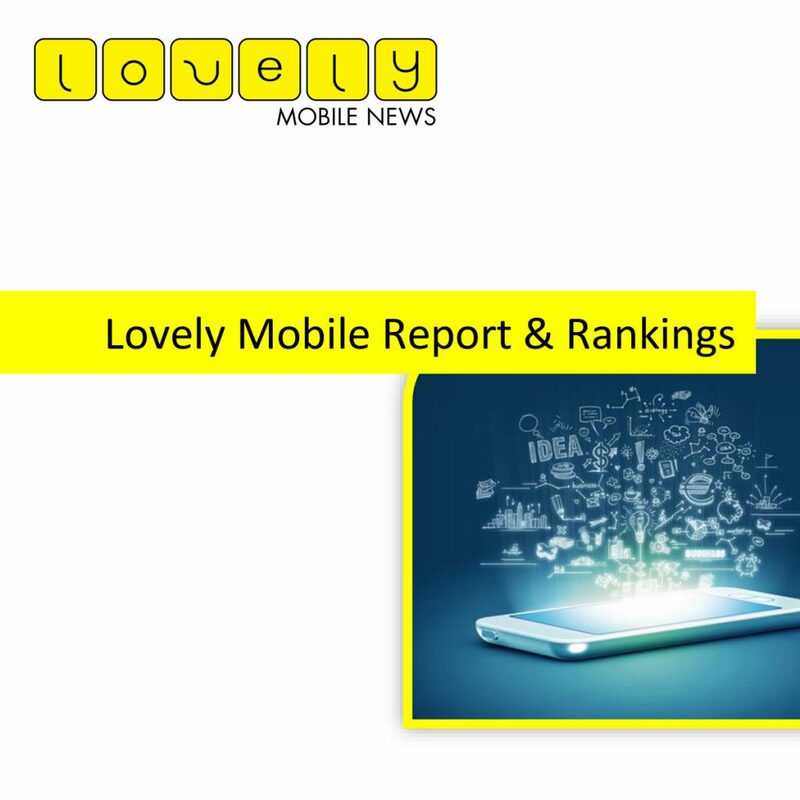 The Lovely Mobile Report and Rankings is a look back and celebration of Mobile Marketing done in 2016. It is a result of a year-long research done by us, analyzing the performance of various projects, agencies and brands in the major, global awards programs. 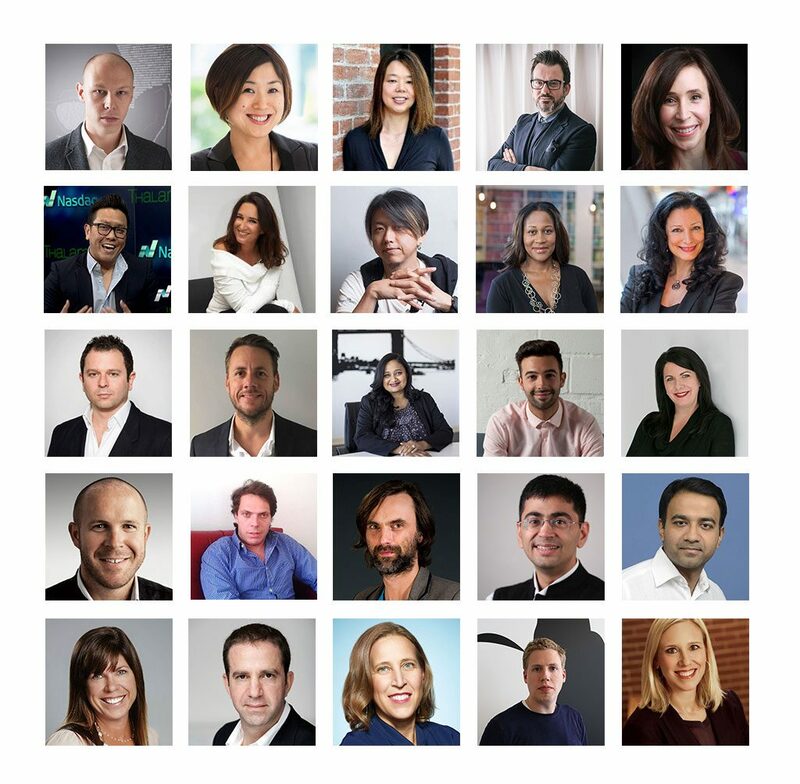 The awards programs covered by our team for this report includes the likes of: The Cannes Lions; MMA Smarties; The Drum MOMAs; D&AD; etc. Mindshare Turkey’s Spark Brilliance project for Nike was the most awarded project of 2016. It did particularly well at the MMA Smarties, where it won in both the global and regional awards. 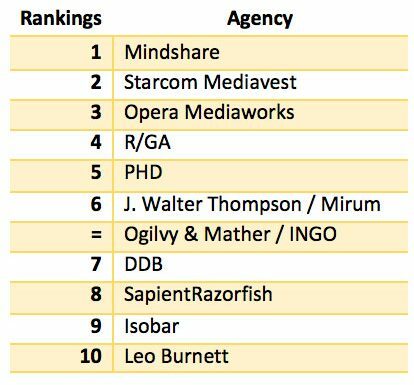 Mindshare was the most awarded Agency / Media House of 2016, by a staggering margin, amassing over double the points than second placed Starcom Mediavest Group. 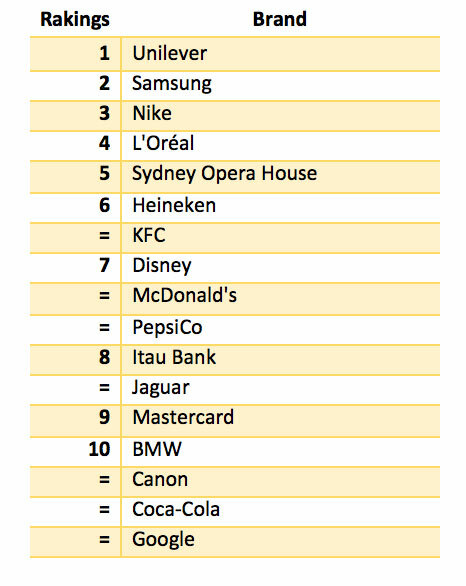 Unilever were the most awarded Brand / Marketer of 2016. They were recognised across the globe in various award programs, with their partnership with Mindshare proving particularly fruitful. Starhub Singapore: One of the leading mobile operators in Singapore. Starhub, via their mobile advertising services is enabling businesses to engage with their target groups in an unprecedented way. They have helped thousands of small and midsize companies across the country to improve their businesses and their ability to attract the right consumer at the right time in a very effective and efficient way, helping them to save millions of dollars in advertising and thus contributing in the overall success of the economy. Zain Iraq: Zain has emerged to be the source of hope for the people of war torn Iraq and their hard-working businesses by offering them a way back into life and into the economy by launching its innovative, people-centric for approach for innovative consumer engagement spreading hope for a better future across the country. Smart Philippines: Smart, the winner of the Cannes Grand Prix in 2013 for its mobile education program for children, has yet again proved that it is ahead of the curve when it comes to enabling the Philippines to an innovation leader in mobile across Asia. Smart is offering services for small, medium and big companies to enhance their businesses by enabling them to reach everybody in the Philippines over their mobile phones, even in the most remote islands of the Philippines. Companies have rewarded Smart for this approach with growing, recurring mobile investments over the past 12 months. Telkomsel Indonesia: Telkomsel, with its 150 million mobile subscribers, is ahead of the curve in Indonesia by enabling more than 50% of the country to receive relevant and useful information on their mobiles. The Singtel Group owned telco has set the barrier high in Asia when it comes to targeting to the most remote and rural areas, always offering the most effective ways to brands to engage with their desired audiences at scale and making consumers happy while offering them valuable benefits, in a country that is almost the size of all of Europe. 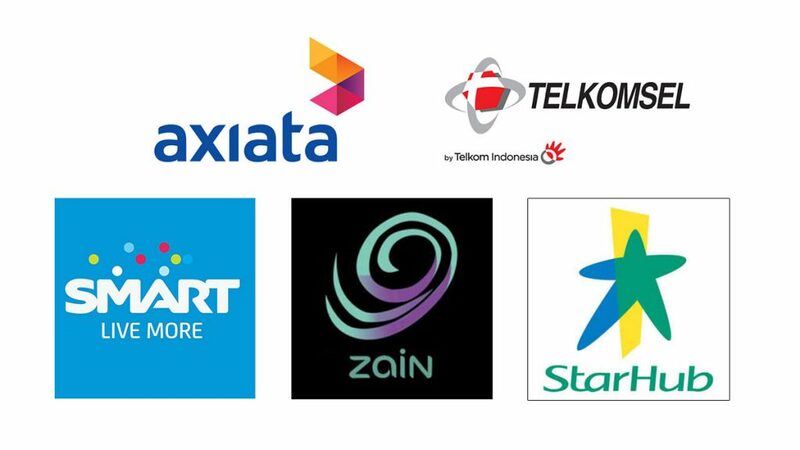 Axiata: Kuala Lumpur based Axiata Group, with its a presence in Indonesia, Malaysia, Singapore, Sri Lanka, Bangladesh and India, has proven to be one of the most progressive telco groups in the world when it comes to their “Digital Only Approach”. They have a strong understanding of what the market needs and corresponds in a swift and flexible way, always putting their people first in the equation while catering to the advertising market in an unprecedented way: cross markets-cross platforms-cross channels. This was given to Snapchat for their role in revolutionising the mobile marketing industry in 2016. It is not a coincidence that other leading social media platforms are now incorporating popular features of Snapchat into their own apps and websites. J. Walter Thompson Brazil and Atados’ ‘Donate the Bars‘ project won this award for transforming the ‘dead space’ in vertical videos on mobiles, into a space where charitable causes could pitch for some much needed funds. AKQA’s innovative use of the latest SiriKit technology, to turn voice into a reading gesture, for their ‘Snow Fox’ App – won them the Lovely Innovation Award. INGO Stockholm’s sensational ‘The Swedish Number‘ project was recognised as the Loveliest Idea of 2016. The project for the Swedish Tourist Association that connected the world to random Swedes via their phones, was consistently featured in nearly every major global award programme. Hi Mum! Said Dad’s Carling Beer Button for Molson Coors, helped transform the beer brand’s sales in the UK in 2016. It was the first ‘e-commerce button’ to directly integrate the UK’s top five online grocery retailers, enabling users to select the seller of their choice before purchase, ensuring shoppers always got the best deal possible. And finally, the New York Times’ ground breaking use of the Google Cardboard technology for their ‘NYT VR’ project, won them the Lovely use of Technology Award. This project, which also won the Grand Prix in Cannes, brought an innovative new spin to digital story telling. Click here to see the images from the Lovely Mobile Party in Barcelona.